Every Record Tells A Story is the name of an eclectic music blog covering a variety of music including rock, indie, blues, metal and vintage R&B with particular interest in used vinyl and live performances. The writer, Steve, (that’s me, writing awkwardly in the third person) has written for Classic Rock Magazine, Team Rock online and Record Collector Magazine. Steve has also appeared on the Radio 4 programme The World Tonight and on TV with BBC4’s Pop Charts Britannia: 60 Years of the Pop Charts, which looked at the history of popular music. Since 2012 Every Record Tells A Story has looked back at rock and pop’s quirkier stories, myths and legends, re-telling them in a humorous and fun way. A unique feature of the blog is Steve’s forays into the world of record collecting, some of which have involved a wager. For example, could you build a collection of original Beatles vinyl for less than the price of the reissues? How much would a complete set of David Bowie’s classic albums cost? Could you make and sell on eBay a deluxe box set of Neil Young albums using the original albums? And if, instead of buying a box set by Oasis, you spent the same money on buying second-hand albums, what records could you end up with? 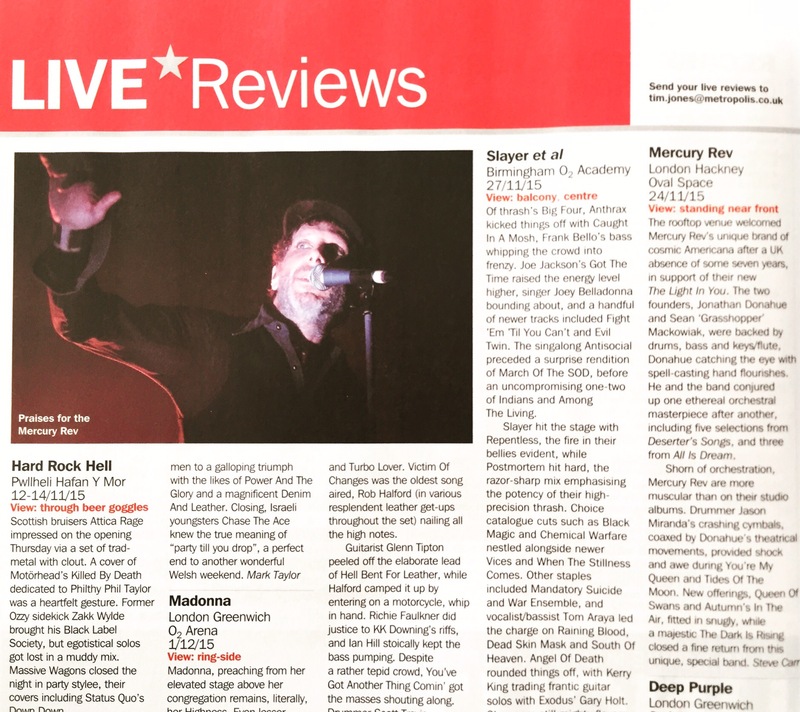 ERTAS also features live reviews, photography, the occasional interview and general music-related nonsense. For those seeking a bit more information, below is an excerpt of an interview I did which explains what Every Record Tells A Story is all about. Click this link for the full interview. Hi Steve! “Every Record Tells a Story”– excellent name, and very true, what can you tell us about it? The genesis of the whole thing came in 2001, when I stumbled across the newly released book Fargo Rock City by Chuck Klosterman. Here was a guy who grew up in the middle of nowhere, listened to a derided genre of music – heavy rock – and could still talk about it with enthusiasm and with his critical faculties intact. It was brilliant. Wouldn’t it be good, I thought, if I could do something like that, but talking about life in the UK? There were similarities: Klosterman lived in a part of the world that I pictured as a wilderness, whilst in the UK I grew up in a cultural wilderness, musically speaking, thanks to the national radio stations that played non-stop Stock, Aitken and Waterman. Of course I did nothing about actually writing a book, but the idea remained. I can’t review new records as well as Pitchfork or Drowned In Sound and I can’t approach an artist and say: “I’m from Rolling Stone and can I have an interview?” But not many people write about heavy rock, and those that do tend to (rightly) take it quite seriously, and tend not to write about other genres. So I had something different, because all I want to do is make jokes and write about other bands as well as Whitesnake. The Blogs-With-Jokes-About-Heavy-Rock-And-Other-Bands-niche is not a large or particularly strongly contested niche in the blogosphere, so I think I have a free run at it. I am trying to make a virtue of a lack of focus. I like to think that blogging is to writing what punk was to music – a DIY ethic – that whole “here are three chords, now go form a band”, only with words. It isn’t of course – it’s basically me, typing into a computer, which is about as far removed from punk as you can imagine. However, my blog is the culmination of years of just being a fan of music, reading countless music biographies, storing up all these ideas and events – things that happened at gigs for example, and then gobbing them, carefully, onto the page. I still have doubts about the name, but you have to call it something – and you should have seen the other ideas – they were far worse. Has your taste changed much over time? It has widened. In his book 31 Songs, Nick Hornby wrote that Led Zeppelin and loud music generally is something you grow out of. I disagree. I now find something to enjoy in most genres, but there’s still nothing quite like the sound of a Gibson Les Paul plugged into a Marshall Stack. How do you view the role of the rock writer, and the ‘blogger’ in particular? If I have a role, it is to entertain people with the writing, make people laugh and hopefully get them to dig out a new or old record. That’s all. Every Record Tells A Story will appeal to gig goers, vinyl lovers, and fans of indie, rock and metal. It’s like a poor man’s Mojo Magazine, only not as well written, but with (hopefully) better jokes. There are many very good music blogs out there, much better than mine, a lot of which tell you about new music and new bands, and they play a great role in promoting new bands. Well, that’s not the kind of blog I write. Who wants to only listen to new stuff when you haven’t heard all the old stuff? It gets exhausting to keep up with. I start to doubt someone when they recommend their eightieth new band of the year as being something special. So I’ll write about say, six new bands a year, and I’ll really like them all. Of everything you’ve presented on the site, is there anything of which you’re particularly proud? Has the Every Record Tells a Story site led to any other opportunities? One of the first pieces I wrote for the blog was a jokey thing about my memories of taping the charts off the radio. Somehow a BBC researcher found it and invited me to take part in a BBC documentary called Pop Charts Britannia: 60 Years of the Top Forty. They found a boom box and got me to tape a recording of the top forty countdown from the early Eighties. It was a lot of fun. I had no expectations or ambition that blogging would lead to anything else, so these things are nice to do when they come up. 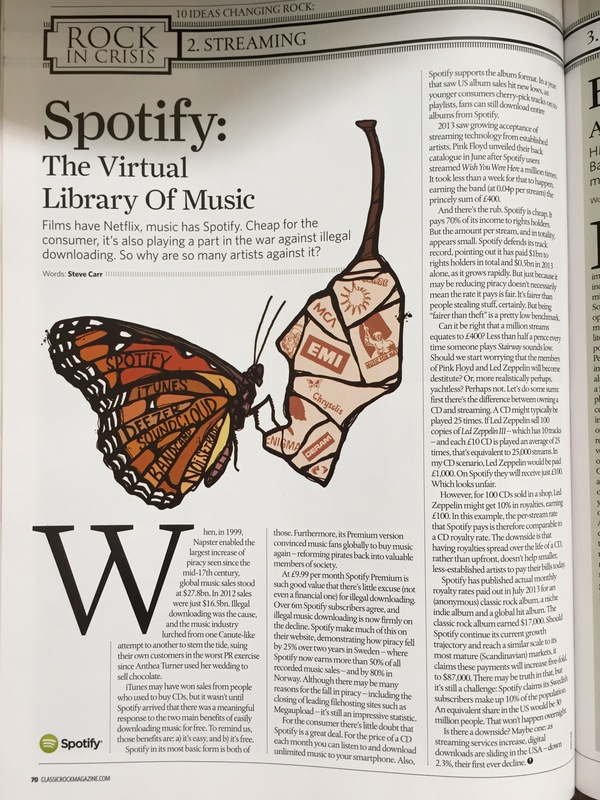 Can You Use Spotify And Still Be An Ethical Music Buyer? For vinyl lovers: could you pass a degree in record collecting? Is it cheaper to buy vinyl online or in record shops? ….and instagram, Tumblr and Clippings.me too. Got to love that Social Media thing. This is why I love your blog. I never know what you will write about next. Another well written article on a great artist that I have never heard of. Hey thanks for the like. Feel free to repost and/ or mention and link to Proto-Germanic anytime. Nice blog. I’ll keep an eye on it. Thanks – always good to have Hipster Approval! I’m enjoying your blog very much. Must follow! Thanks – be glad to have you on board! Lessee, identify with # 1, 2, 3, 8 (embarrassed to admit) and 10. Born in 1969, listened to hard rock part of 1980’s then indie thereafter. Play guitar badly. Yep, follow! Awesome blog, good to know there are still folks out there who like rock. Thanks – I’m enjoying reading your blog too! Only went live with my journal of a rookie guitar player blog this week, and in the midst of my recent exploration into this WordPress community have been desperately searching for decent music / rock blogs …finally! -awesome site! Thanks. Hopefully we’ll keep interspersing the old with the new to keep things interesting. Thanks for stopping by! Do press follow if you want to come along for the journey! Thanks for checking into the pasta paulie blog and liking the David Bowie posting. Have just been browsing around your site, some great postings – takes me back! ha! you did look around. bravo! Hello – always happy to waste people’s time! Hello – since someone was nice enough to give me a Versatile Blogger Award (clearly he hasn’t met me), I felt duty bound to pass that on. Then I realised that someone with good taste had got in ahead of me – but by then it was too late. Here’s the link, and if I’ve done this right it will explain everything in words which I have faithfully cut and pasted (thereby proving my versatility). However – I do mean it, as I enjoy your blog very much. Thank you so much for your kind words – very good of you to spread some joy into the world! Nice to win an award – much appreciated. thanks so much for visiting my site and deciding to follow. I couldn’t survive without music. Hey – you’re welcome – thanks for coming by here too. Great interesting site! Miss some all female or female fronted bands. I’m looking to get a few reviews of my band’s new EP “Lost in Translation.” If you would give it a listen and maybe give us a few words I’d much appreciate it! We are available for interviews. When my mom passed away in 2014, amongst other things, I was left with a medium sized collection of albums, and a walking ton of cd’s. Ranging from Stevie Nick’s to Bob Dylan. I have been wanting to do some type of blog, to showcase them, so to speak, but other than knowing I love music, lol, I know very little about the artist! But I have found some really good ideas off your blog! As far as, layout how to describe what I have etc… just need to dig deep! Thanks! Thanks you Stephanie – I hope you enjoy writing your blog as much as I have over the years. Hey Steve, awesome site, you have a great history of music (and related content) built up here! Your comment from the interview about “loud music” is super interesting…I run a music collective and one of our artists, Jackson Davis, just released a single from his upcoming EP! It’s in the realms of “loud music,” also falls under the realms of synth rock, and it’s reminiscent of Todd Rundgren’s sound. Here’s his single if you wanna check it out! Would love for you to write a review of his EP when it releases on July 27th, or even conduct an interview of him. Let me know if you’re interested in working together! I’m Edward and I make part of a new indie band from NYC called The Wild Blue. We just recorded a five song ep. Here is a link to one of our songs; they’re all for free at band camp or the cd baby store. Thanks!